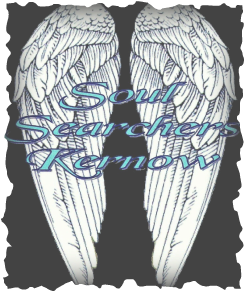 Soul Searchers Kernow ﻿are a Non Profit Paranormal Investigation group that have been established since 2007. We have investigated numerous locations from public houses to stately homes and everything in between. During our investigations we have witnessed some unexplained phenomena, for which we continue to search for answers. We do not class everything as paranormal and attempt to find a logical explanation for occurrences before we will class it as 'unusual'. We currently host paranormal events at Davidstow Airfield and Cornwall at War Museum near Camelford in Cornwall for Paranormal Groups that wish to conduct an investigation. This site is extremely active and we have had some amazing results, ranging from knocks and taps to manifestations and poltergeist activity. This may be a result of the thousands of military exhibits housed within the museum, everything from medals to vehicles and aircraft, including the personally owned military uniforms and equipment of much respected personnel who gave their lives for their country. Lots to see at the museum from World War 1, World War 2 and current military operations. All proceeds from bookings are donated to the museum to assist with it's upkeep and maintenance. We are an entirely non profit organisation. Free tea, coffee and biscuits are provided on all booked investigations. We are a professional and friendly group and between us, we have a plethora of knowledge in the field. Please contact us to book an investigation, or if you have a particular question just drop us a line!